Want to make show the gratitude for your friends and family due to their help and kindness during the last year and send them your best wishes for the New Year? 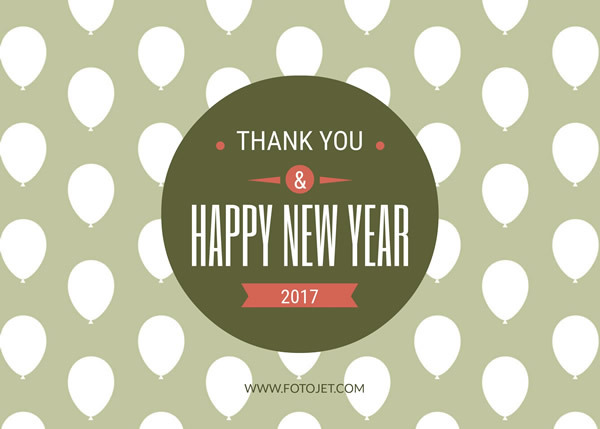 This New Year card template with thank you message is a perfect one for you. You'll be glad to know that this design, as with all other template designs of FotoJet, is easily customizable. With a few tweaks here and there, you can turn this template into your own New Year thank you cards.